Rookie TJ Moor scored for the second straight game but the Chill could not overcome an early 2-0 deficit and would lose to the Oilers by a final of 6-3 Sunday night. It was a tightly played game in the first half of the opening period with shots event at 8-8 midway but Tulsa (32-28-3) turned up the offensive pressure, taking a 1-0 lead at the 14:35 mark on a power play goal from Ryan Menei and stretching that lead to 2-0 just over three minutes later when Kyle Bochek scored. St. Charles (11-46-6) got on the scoreboard early in the second period when Britt Ouellette scored his first on assist from Nicklas Lindberg and Martin Hlinka but the Oilers responded when Adam Pleskach put the Oilers up 3-1 six minutes later. Mike Beausoleil pushed the Oiler lead to 4-1 90 seconds later with a shorthanded goal but the Chill would respond seconds later with a power play goal from Ryan Berard to close the gap once again to two goals at 4-2. Mike MacIntyler and John Snowden picked up the assists. The Chill would ride that momentum and keep the pressure on the Oilers the rest of the period but the teams skated to the locker rooms at 4-2. Tulsa took a 5-2 lead 1:23 into the final period when Pleskach added his second of the night but St. Charles continued to put on the pressure offensively and TJ Moor capitalized with his second goal in as many games and fourth point in the last three games to close to gap to 5-3 midway through the third period. Tulsa’s Eric Tallent put the game away in the final two minutes with a power play goal and the Chill would lose by a final of 6-3. 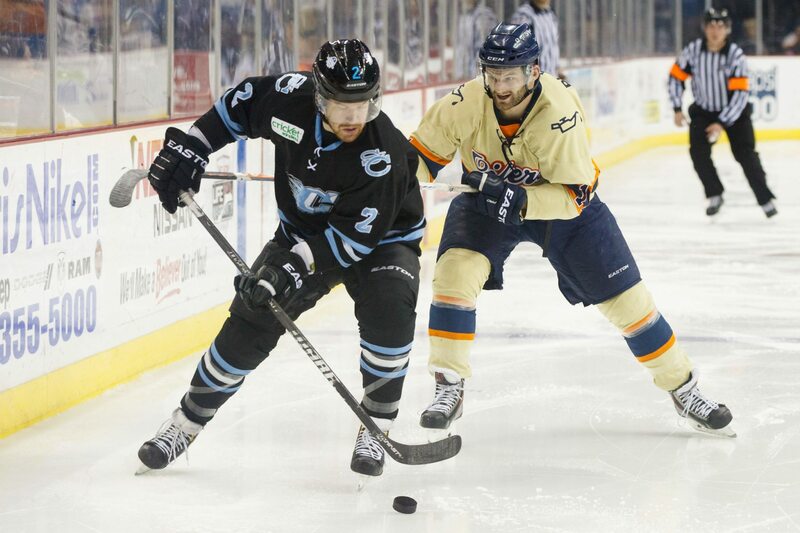 The Chill concludes its six-game road trip Tuesday with a rescheduled game against the Missouri Mavericks at 7:05. You can catch the live action at Mr. Lucky’s for the Away Game Watch Party. St. Charles is back at home the final weekend of the season March 28th and 29th with Pack The House Night and Fan Appreciation night that closes the inaugural season. For more information on the Chill, or for group tickets, call 636.724.SHOT (7468) or visit www.stcharleschill.com.